According to the BBC the number of people failing to their road tax up to date has tripled since the tax disc was retired three years ago. That means more people than ever are running the risk of heavy fines for not paying - and we're ready to bet they're not hardened fraudsters but just people who have forgotten! 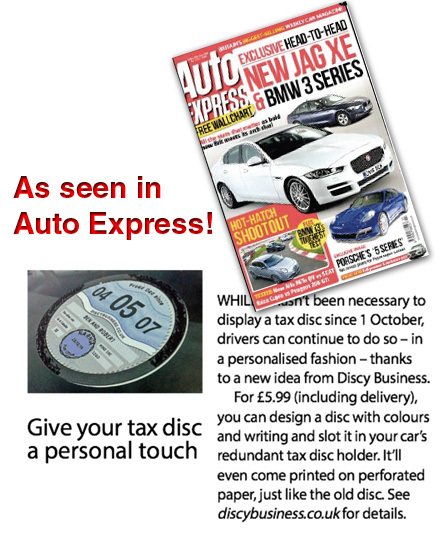 Tax discs used to be a great, visual reminder to renew your car tax. 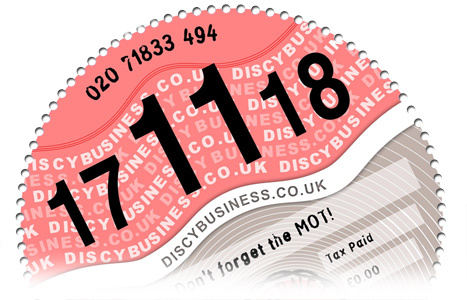 If you miss yours, you can bring it back in style with one of our brilliant fully personalised tax discs, perforated and foil-highlighted just like the originals used to be! Don't be a statistic, make sure you keep on top of your tax with the most authentic windscreen decoration going, from Discy Business.